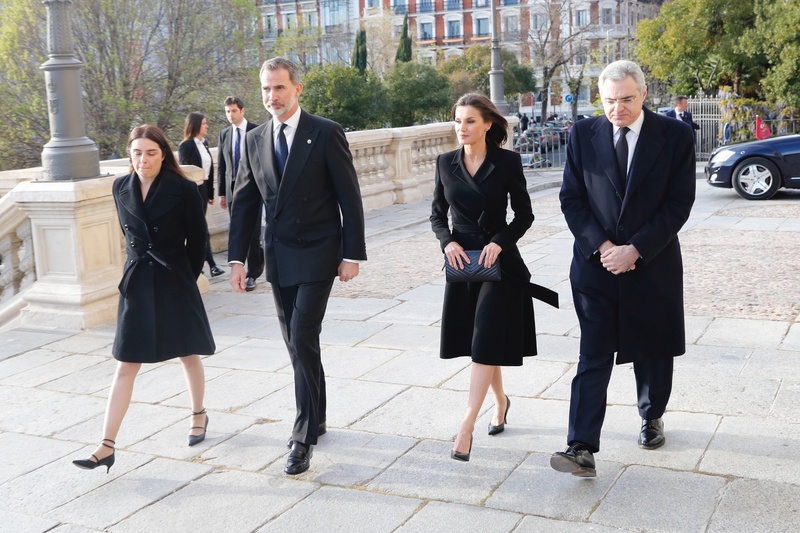 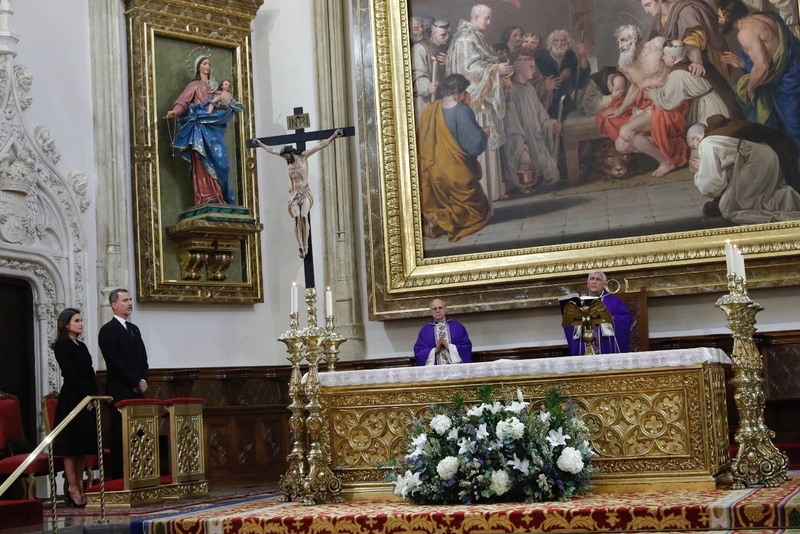 Queen Letizia of Spain joined her husband King Felipe for the funeral of Don José Pedro Pérez-Llorca Rodrigo, the father of the Spanish Constitution at the church of San Jerónimo in Madrid. 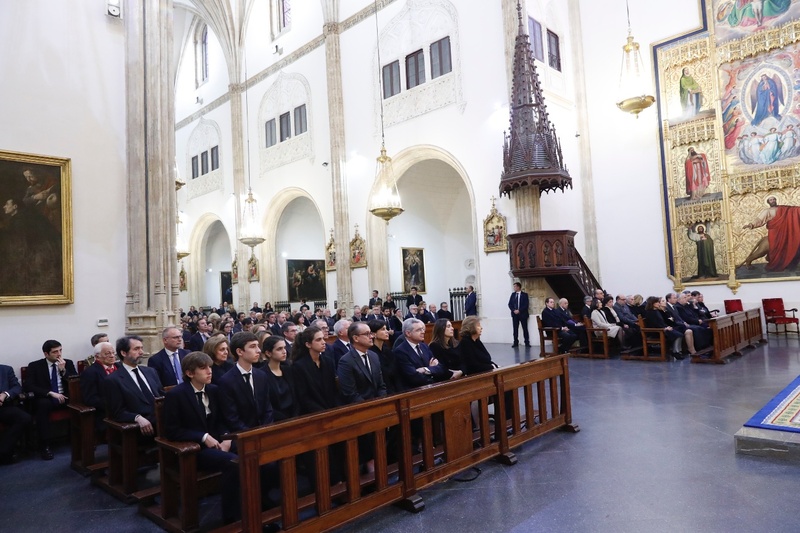 José Pedro Pérez-Llorca Rodrigo, died on March 6 in Madrid at the age of 78, was a prominent Spanish lawyer known as the father of the 1978 Constitutional establishment and played a major role in Spanish Democracy. 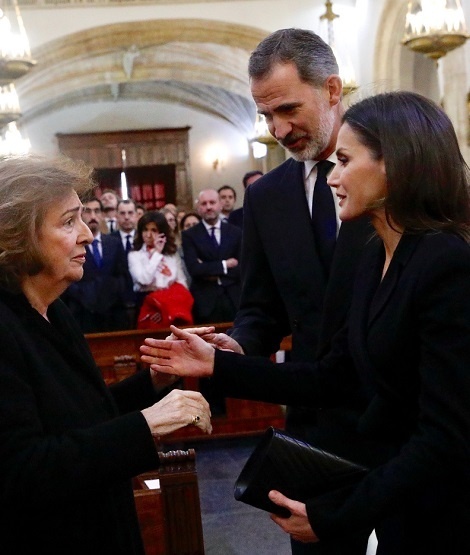 He was also president of the Royal Board of the National Prado Museum and served as the Minister of the Presidency of Government and Relations with the Cortes from 1979 to 1980, Minister of Territorial Administration in 1980, Minister of Foreign Affairs of Spain from 1980-1982. 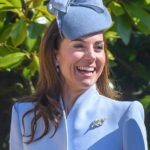 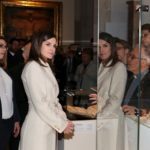 Keeping the serenity of the occasion in mind, Letizia chose an elegant attire. 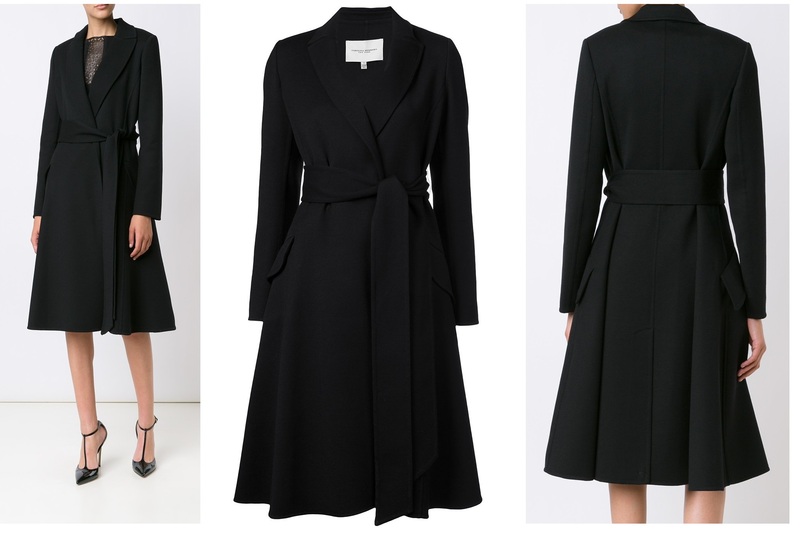 She was wearing her Carolina Herrera A-line Belted Coat. 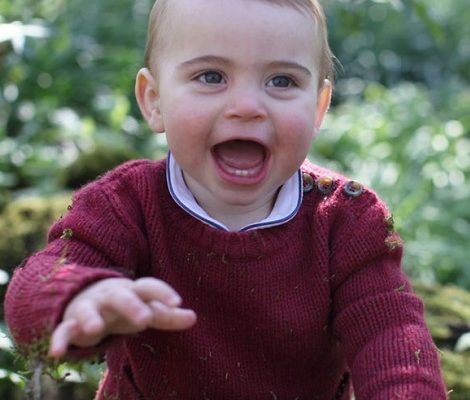 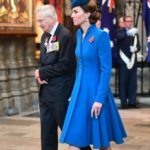 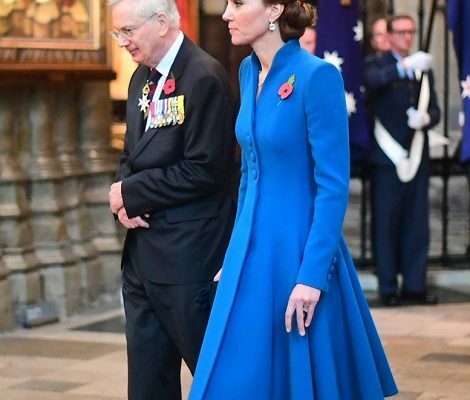 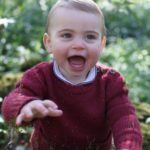 Queen paired the outfit with blacker lether pointy-toe Magrit Pumps. 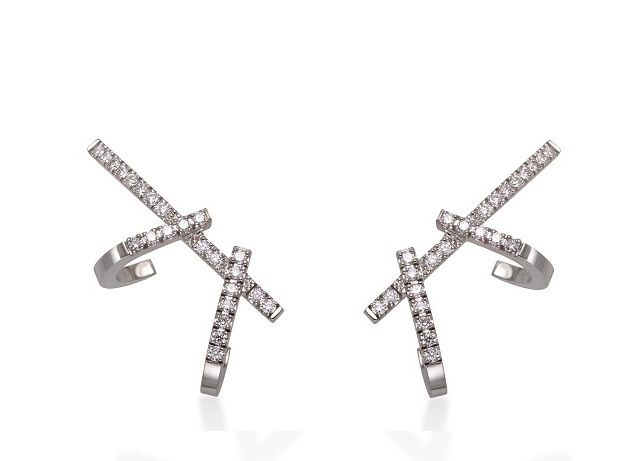 And finished her look with Gold & Rose white gold and diamond double dagger earrings .